Hair extensions: Why are they so insanely popular? 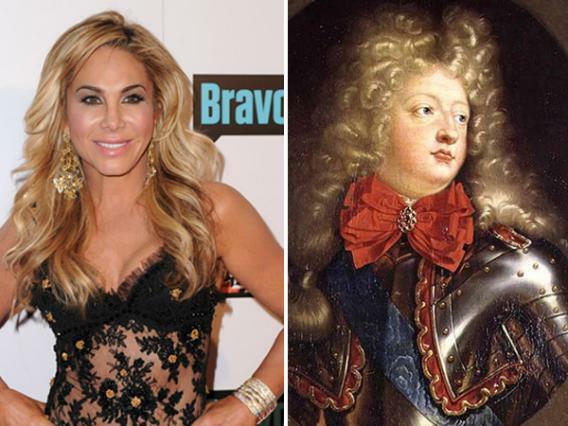 Do the Real Housewives Remind You of Louis XIV? The rise of implausibly abundant fake hair. Frederick M. Brown/Getty Images; Wikimedia Commons. Once upon a time, fake hair looked real. This period did not last long. Around the turn of the century—I’m talking 1990s here, not 1890s—hairdressers had begun to deploy those now-ubiquitous fake hair extensions, but they always worked with a certain amount of subtlety and restraint. Realness was paramount. Wigginess was verboten. Women relied on extensions—strips of hair that often originate on the scalp of a cash-strapped lady in a developing country—to subtly augment their ‘dos. These delicate rafts of hair, in shades matching the woman’s own, were cunningly glued to either side of the head, enhancing the existing follicle count. A light bouncy ’70s tressiness was the goal. Think Charlie!, as in the perfume hawked by Shelley Hack. Cut to now. Women are boldly sporting more mega-tons of fake hair than Lady Bunny. 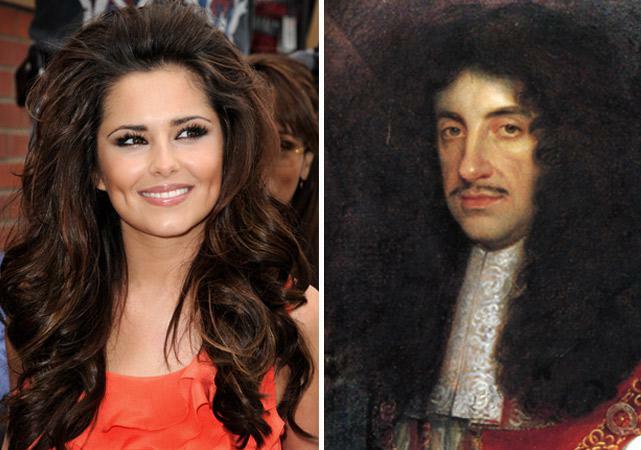 Instead of Charlie!, it’s more about Charles II. That’s right, I’m getting historical on your asses, because today’s shoulder length mega-tresses have only one precedent: the man-wigs of 17th-century Europe. Instead of trying to look merely healthy—just naturally lustrous—women now strive to look as much as possible like a bewigged aristo of yore. Every gal is coiffed with the powerful pompous abundance of the Sun King. Grab your periwigs, girls, because the Duke of Marlborough is totally back! Think I’m exaggerating? Then you obviously did not clock Rachel Bilson on the cover of last month’s Lucky. How about Cheryl Cole on the cover of Hello!? How about those pics of Eva Longoria, Victoria Beckham, and Kate Beckinsale out partying with extensions-pushing celebrity hairstylist Ken Paves? Am I 100 percent certain these gals are wearing hair extensions? I suppose it’s possible they have just been taking lots of B vitamins. But hair is undeniably having a wiggy Restoration moment. Things haven’t been this implausibly tressy since that period after Cromwell when the British monarchy was restored to the throne. Kevin Winter/Getty Images; National Portrait Gallery, London, via Wikimedia Commons. Don’t get me wrong. I’m not complaining. 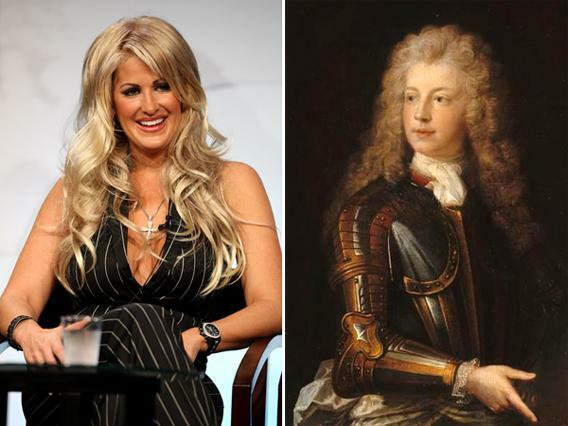 I always applaud any kind of stylish extremism, especially when there is so much hilariously historical hair involved. However, it should be noted that this nouveau wigginess has become something of a distraction. If you watch the Real Housewives of Beverly Hills you must contend not just with Lisa, Dana, Kyle, Brandi, and Adrienne but also with their billowing coiffures. These larger-than-life confections seem to have their own personalities. One can imagine the housewife hairdos—wigonalities?—having separate agents and nit-picky contracts with all kinds of specific riders about which curling irons are off limits and which sprays and gunks are to be used. In conclusion: Women are wearing pounds and pounds of extensions. The landscape of coiffure has changed dramatically. What was formerly perceived as elegantly tressy is now seen as verging on balding. No gal feels she has currency unless she has ramparts of fakery adorning her scalp. Alberto E. Rodriguez/Getty Images; via Wikimedia Commons. In fairness to hair, it should be pointed out that hair is merely trying to keep pace with the other features of madam’s appearance. Coiffures are on a frantic quest to compete with dramatic, pneumatic increases in the size of bust, lips, lashes and high heels. So cut hair some slack and let her have her historical, hysterical moment. Now what about us men? 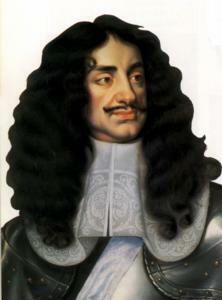 During Charles II’s reign the dudes were every bit as wiggy and powdered as their women, if not more so. I wish that were the case today. Alas, no. While women are busy adopting ever more meshugeneh coiffures, men seem to be headed in the opposite direction, radically and lazily simplifying their tonsorial approach. Scruffy beards and shaved heads are the norm. Even $400-a-haircut John Edwards now zips into Supercuts for a $12.95 quickie. I, for one, look back nostalgically at the era when men made more of an effort. I miss those halcyon days of Sam Donaldson comb-overs, hair plugs, and aerosol scalp-flocking. And rugs! Remember when toupees were ubiquitous and the men who wore them strenuously avoided roller coasters at all costs? There was something so appealingly poignant about the wearer’s delusion that he was “passing.” Remember when an airport delay meant hours of fun playing spot-the-toupee? Remember when Cy Sperling was continually on the telly reminding us that he was “not only the Hair Club president but also a client”? Back to the 17th century and the reign of Charles II: Lest I have painted a too rosy picture of life back then—or no picture at all—let me remind you that the Black Death was sweeping through Europe at this time, and Samuel Pepys was dithering and journaling about whether or not he should buy a new wig. Was he worried about the cost? No. He was convinced that any new purchase would be fabricated from plague victim hair.